Pull the curve and tweak the lurve! 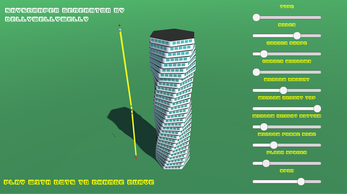 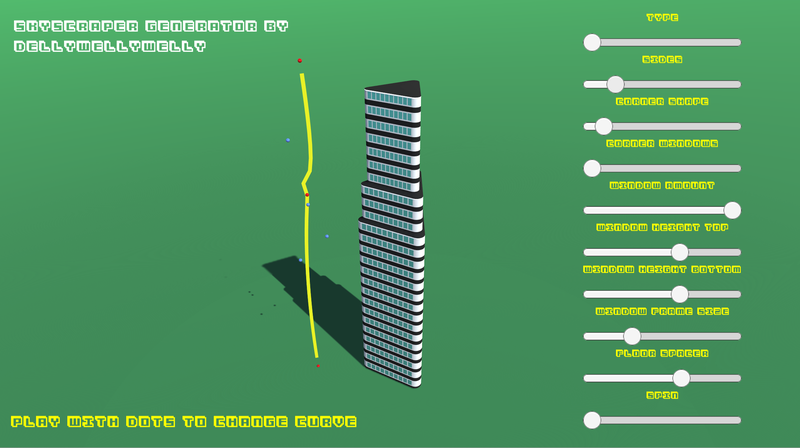 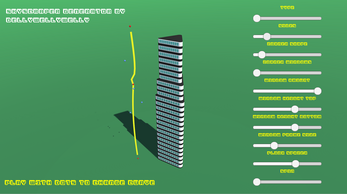 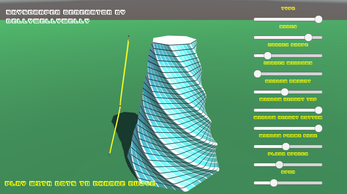 You no longer need to get out the Lego to be able to create beautiful towers, using Skyscraper Generator's fantastic procedural algorithm, you can watch your dreams come true right on your very own monitor! 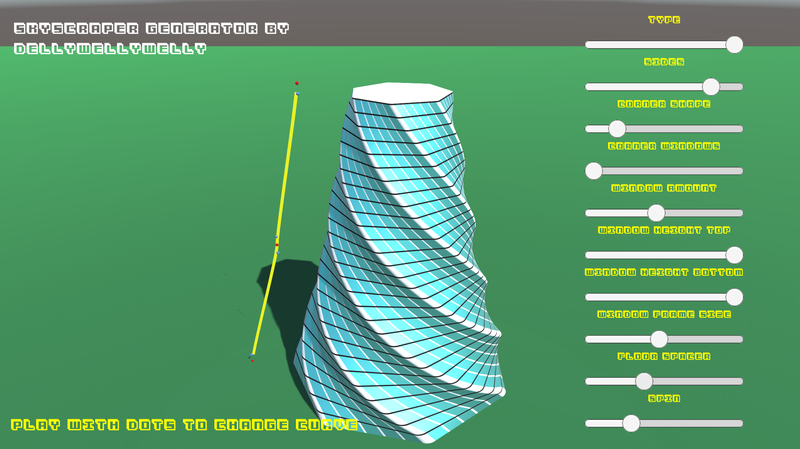 I don't really understand how the curve works, but this is pretty nifty!